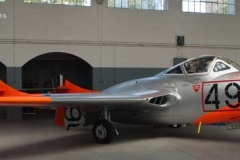 United Kingdoms 2nd combat jet after the Gloster Meteor. 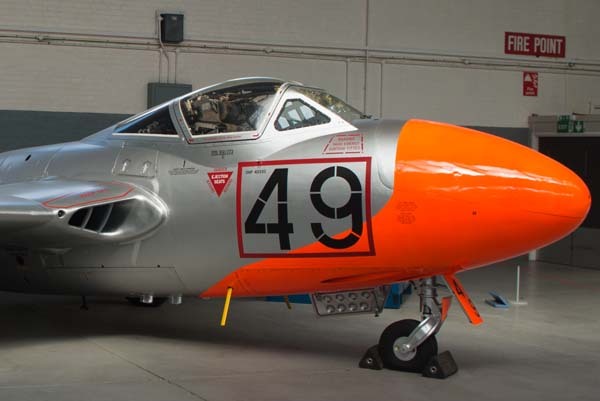 A great little fighter, but once the Mig-15 appeared in the Warsaw Pact airforces, it became out classed. 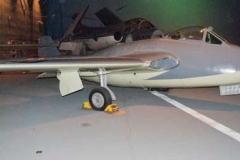 It did serve well in the Fighter Bomber role and also as an advanced jet trainer. 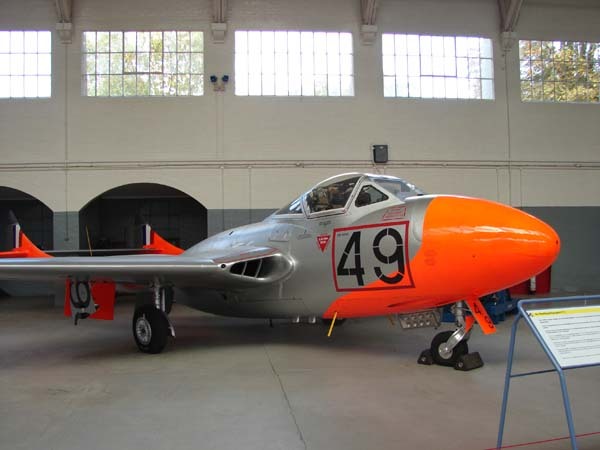 Design work started in mid 1942, with the first prototype flying in September 1943. 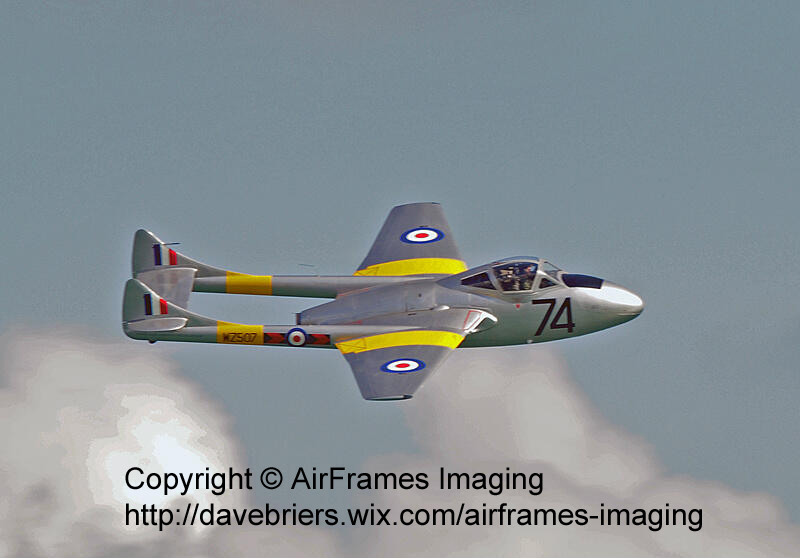 The Vampire Mk1 entered service with the RAF in 1946, originally as an interceptor. 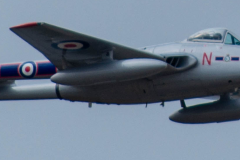 It continued in service with the RAF in various versions until 1955. 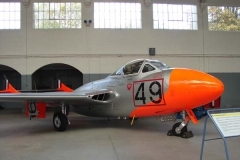 A Naval version was also produced and used by the Fleet Air Arm, the “Sea Vampire F.20” serving with 700, 702 and 787 squadrons. 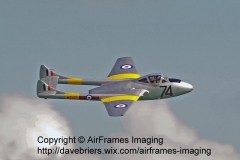 RAF vampires never saw air to air combat, however they were used in the ground attack role against rebels in Malaya during the 1960’s. 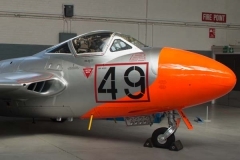 Austria Airforce T.MK.11, T.MK.55 1956 to 1972? Burma Airforce T.MK.55 1954 to ? Egypt Airforce FB.MK.52, T.MK.55 1949 to 1960s? France Armee de l’Air F.MK.1, FB.MK.5, Mistral FB.MK.51 1948 to 1960s (mid)? France Aeronavale F.MK.1, FB.MK.5, Mistral 1948 to ?